Last night (Sat. April 13, 2019) UFC 236 took place live on pay-per-view (PPV) from the State Farm Arena in Atlanta, Georgia. Two “Fight of the Night” bonuses were awarded. First, in the co-main event, an interim middleweight title fight. Israel Adesanya and Kelvin Gastelum put on an absolute classic 185-pound title contest. Although both men blasted each other with some hellacious shots, “Stylebender” got the upper hand later on in the contest, nearly finishing things in the closing seconds. Adesanya was crowned the interim champion on the scorecards, but both he and Gastelum will take home an extra $50,000. 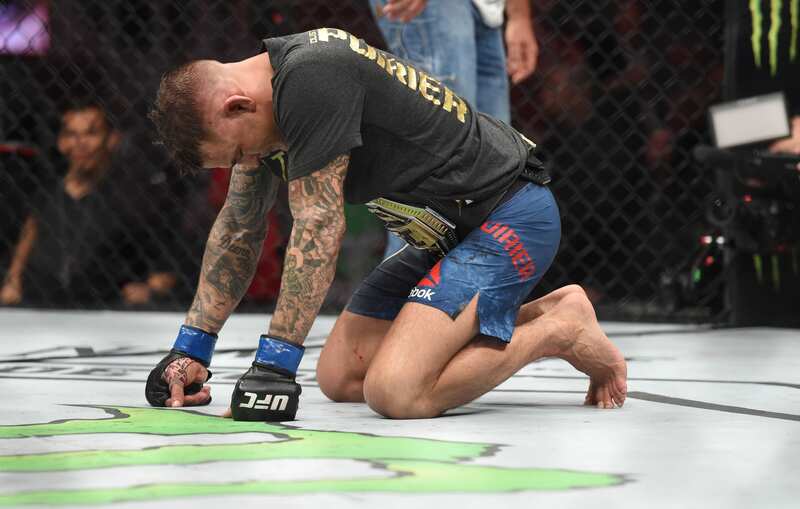 Finally, in the main event, Dustin Poirier finally captured UFC gold. 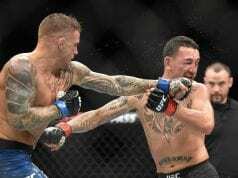 He edged out featherweight champion Max Holloway after another five rounds of epic fighting. Both men showed tremendous heart inside the Octagon, and will receive $50,000 bonuses for their efforts. No “Performance of the Night” bonuses were awarded for the awesome card as a result of the title fights.